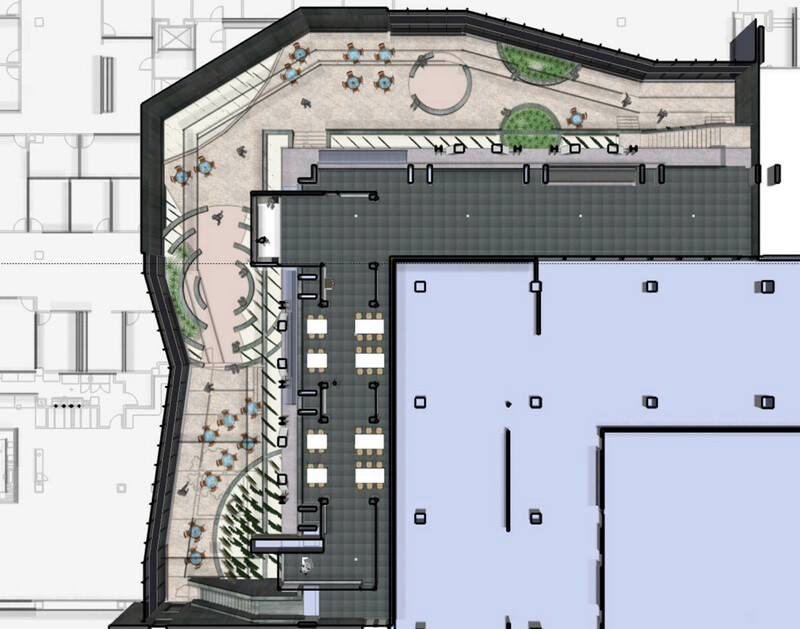 Katherine’s Courtyard is located in the Northeast light well between the Marriott Library tower and the 1996 saddle back addition. Included in the scope of the Courtyard is a sculpture gallery and study patio, approximately 4,112 square feet, located on the second level of the Marriott Library adjacent to The Katherine W. Dumke Fine Arts & Architecture Library. Also included in the scope is a garden space adjacent to the patio of Mom’s Cafe on the first level, approximately 4,713 square feet. The Fine Arts & Architecture Library supports the College of Fine Arts and the College of Architecture + Planning. This supports extends to all of the departments including: Architecture, Art and Art History, Ballet, City and Metropolitan Planning, Modern Dance, Film & Media Arts, Music, and Theatre. 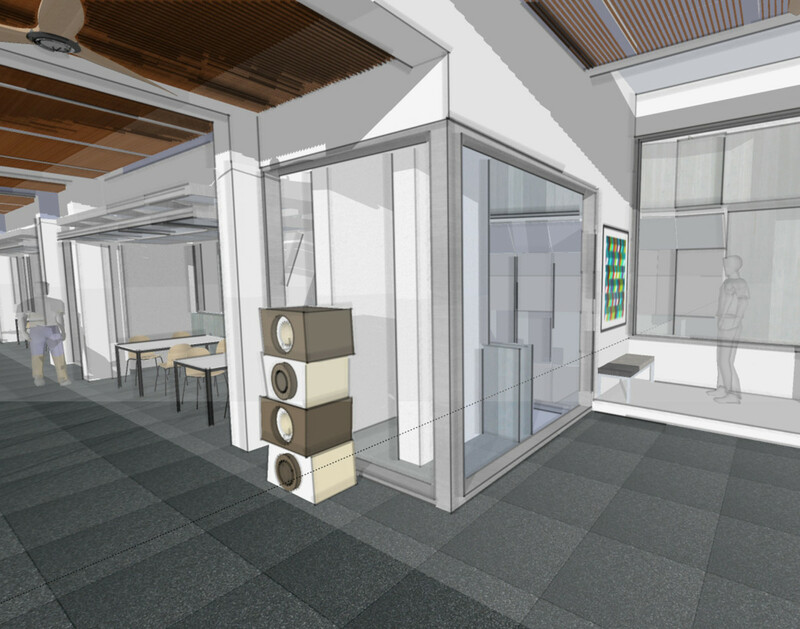 This project will provide gallery space for student projects as well as pleasant and engaging space to study and collaborate. When the students interact with the gallery of the Fine Arts & Architecture Library they will gain valuable experience by interacting with a entity outside of their department in the process of displaying their work. The exterior study space will allow for dynamic discussion and study groups in a Library Setting without disturbing other patrons. In this manner this space will facilitate the Fine Arts & Architecture Library’s mission to support College of Fine Arts and the College of Architecture + Planning. This space will also provide opportunities to increase student awareness of the services and collection available thereby enriching student work and experience. Katherine’s Courtyard was designed in tandem with landscape architects from Arc Sitio Design, Exterior Renderings performed and provided by arc Sitio.